The latest Peugeot 208 boasts a sporty new look and is packed with more features than you would imagine in a compact city car. Available in a three or a five-door version, the 208 is ideal for nipping around town, yet roomy enough for doing the school run. An attractive, assertive design gives the Peugeot 208 a sharp identity and great visual impact. The interior of the Peugeot 208 has a clean, classic and chic feel. Exceptional ergonomics improve ease of handling and help to create an instinctive, energetic ride. The Peugeot 208 features an innovative interior layout: The PEUGEOT i-Cockpit® which provides an energetic driving experience that’s intuitive, agile and safe. The compact sports steering wheel sits lower than a traditional steering wheel and reduces driver fatigue because your arms sit lower and closer together. Its precise steering and improved manoeuvrability complemented with a 7” multifunction colour touchscreen puts all the functionality at your fingertips. In addition, the head up instrument panel, allows driver information to be accessed without taking your eyes off the road. ​The compact leather trimmed sports steering wheel, combined with the equally compact size of the 208, gives you an agile, exceptionally easy-to-handle experience - the perfect recipe for true driving pleasure. Perfectly positioned, the 7” colour touchscreen gives you access to a wide range of functions, including 3D Connected Navigation (with voice control and TomTom Live updates)*; music streaming, USB connectivity; hands-free Bluetooth® calling plus CarPlay® and androidauto connectivity. Easy, intuitive technology gives the 208 a head-start when it comes to driving pleasure, efficiency and safety. 3D connected Satellite Navigation* is linked to the 7.0” capacitive colour touchscreen, the system includes European mapping, 3D city mapping and voice recognition (for radio, navigation and telephone functions). *Optional at additional cost. Additional terms and conditions apply to connected services, including customer acceptance of location sharing prior to activation. Peugeot’s experience and expertise, it comes with the latest, most advanced safety features. The 208 is equipped with Cruise Control and Speed Limiter as standard. Set your desired speed limit or activate cruise control – both ensuring you remain at a constant speed. Please ensure you remain within the legal speed limit at all times. Peugeot Connect SOS* is now in use in most major European countries, including the UK, and is technology that could prove vital in an emergency. *Peugeot Connect SOS is available as an option at additional cost on Active, Allure & GT Line models and is subject to acceptance when ordering the vehicle. Terms and conditions apply. So, are you ready for motoring independence in a brand new Peugeot 208? Call Warners Peugeot today on 01452 529755 for a personalised Just Add Fuel® finance quotation. *Excesses, limits on age, convictions/claims apply.  Telematics Box, consent to Data capture and transmission required. Insurance subject to cancellation for four warnings for poor driving. Motor insurance is provided and underwritten by U K Insurance Limited. Personal Contract Purchase. Finance subject to status. 18s and over only or age restrictions apply. Guarantee may be required. Finance provided by PSA Finance UK Ltd, Quadrant House, Princess Way, Redhill, RH1 1QA. Terms & conditions apply.